Note: We were disappointed to learn Peanut Butter & Jelly Time closed in April 2011. 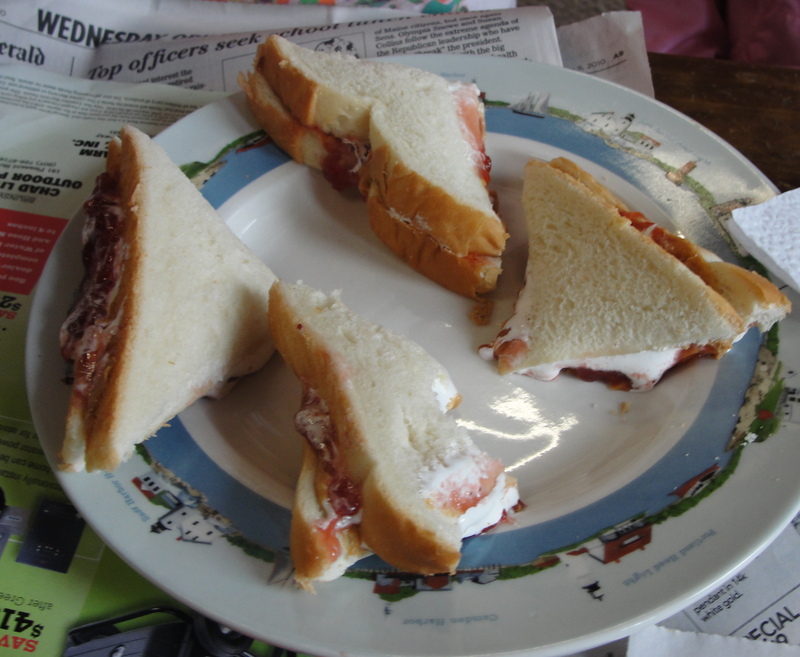 However, word on the street is that owner Steve Miner might be back with a Peanut Butter & Jelly Time stand outdoors. Here’s hoping! Every once and awhile, Team Cute Potato will discover something so perfect for kids and families, we’ll wonder, why didn’t we come up with this idea ourselves? 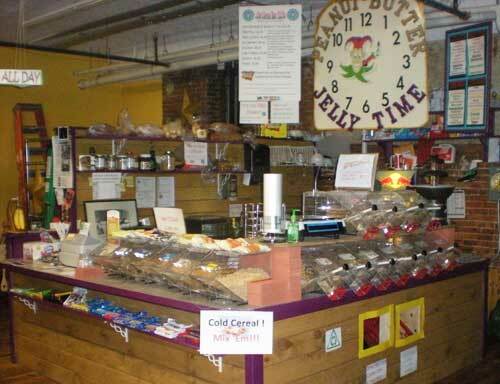 Case in point: Peanut Butter & Jelly Time, located upstairs at the Public Market House in Portland. This fun establishment is all about simple, comfort food. You can create your own sandwich from an extensive list of organic and crunchy peanut butters, honey, marmalades and preserves. Or try their all-day breakfast menu, which features classics like Belgian waffles, silver dollar pancakes and yogurt with fresh fruit. CP#1 never sampled Marshmallow Fluff before, and she was thrilled to try her first peanut butter, Fluff and grape jelly sandwich. 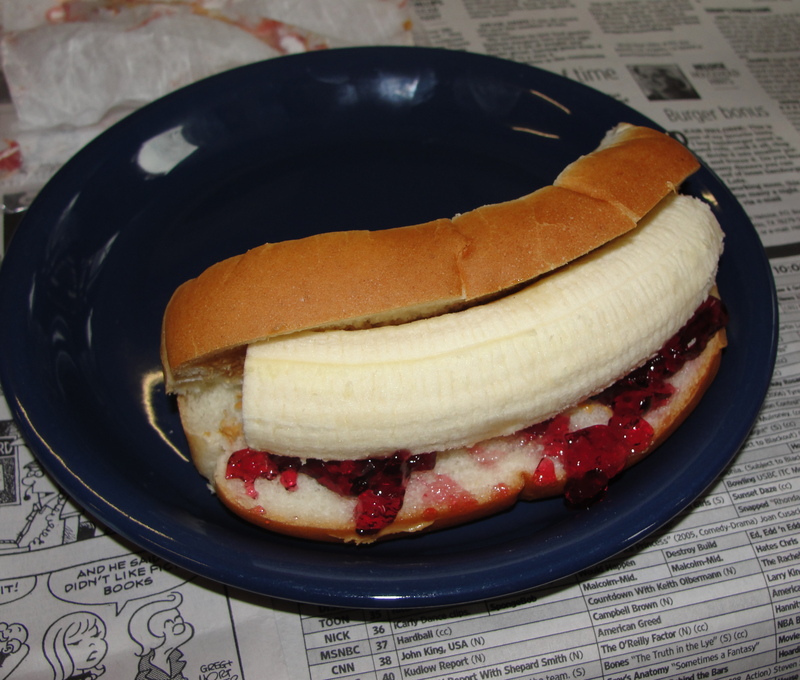 Her brother opted for the Banana Dog: a banana with peanut butter and jelly inside a hot dog bun. Mom Potato couldn’t choose. She was curious about the special spreads of the day: dark chocolate almond butter and prickly pear jelly (not together, mind you). Finally, she decided on grilled cheese with garlic and oil on oblong-shaped, Samoon bread—a sandwich that could have easily fed two people. The staff at Peanut Butter & Jelly Time couldn’t be nicer. They made sure the kids were served first, and didn’t bat an eye when CP#2 spilled bulk cashews all over the floor. After our meal, shop owner Steve Miner stopped by to make sure we were happy with our choices. He even packed up the kids’ leftovers in zip-lock bags. The space at the Market House is equally great. There’s an open seating area (think college dorm living room) that’s ideal for families. 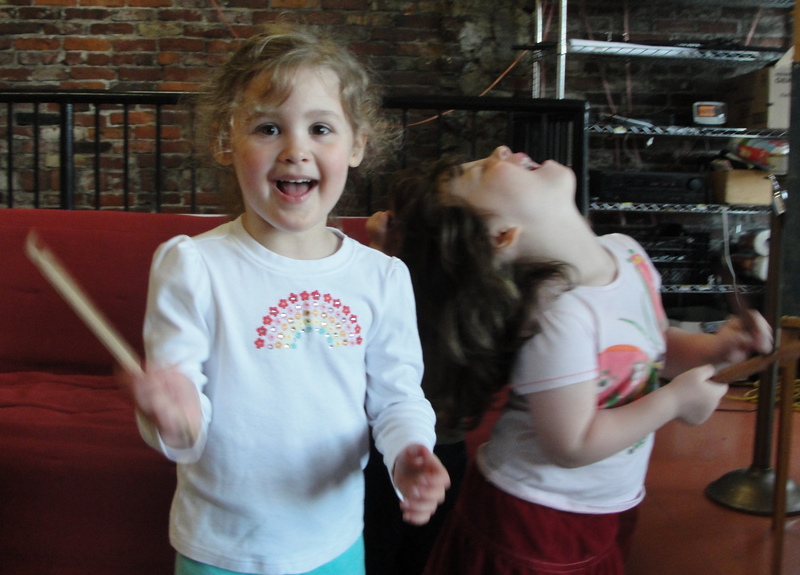 Whip It, Jump and other hits from the 80’s played in the background, which the Cute Potato kids enjoyed as much as their lunch. And bonus! Steve’s hoping to show cartoons on weekends. Before we left, Steve gave the kids free, organic lollipops to go. 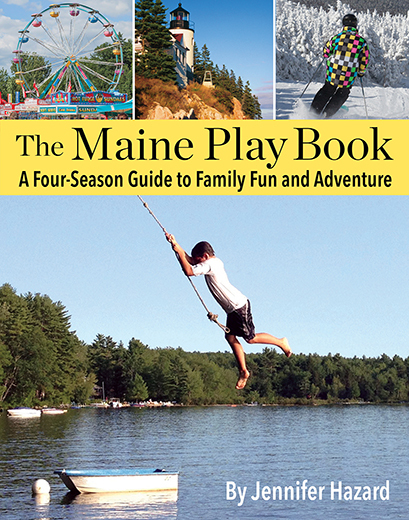 Maine families: if there was a place that defined a kid-friendly dining experience, this is it! on May 10, 2010 at 4:56 pm | Reply Kristen B. The rest of the 2nd floor vendors are great, too. Kamasouptra is just killer, and Market House Coffee brews some of the best in town. Thanks – had no idea anything was up there. Kamasouptra sounds awesome!